KDE applications failed to start (Spectacle and Dolphin). After reboot, it failed to login to desktop. It shows only blank screen (except I still can login to tty). 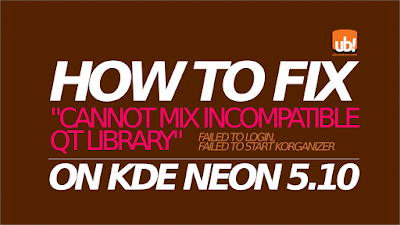 My specification: Neon 5.10 operating system on a 64bit laptop. Note: I didn't do apt-get dist-upgrade and it's OK. So in this case, dist-upgrade command is not needed.